The International Law Office „D. Vladimirov & Partners“ provide prompt, efficient, simple and cost-effective solutions to our clients for all debt collection needs against individuals and entities. As experienced German & Bulgarian lawyers, we proactively assist and act on behalf of our clients on debt collection matters in Turkey. Pre-trial proceedings: including sending official notifications/demand letters to the debtor and fulfilling all the necessary formalities before the eventual trial is commenced. Representation during trial process. 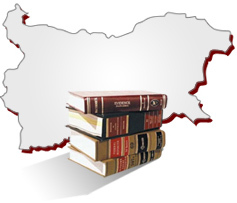 In situation where the debtor does not willingly return the debt, we are able to provide representation during trial before Bulgarian & German Courts. Post-trial proceedings. This includes any possible steps necessary to the enforcement of favourable decision issued by the Bulgarian & German Courts related to the actual recuperation of the debt. 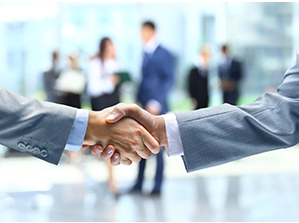 We act for clients on debt collection and related matters which includes major corporations, international banks, insurers, company liquidators, bankruptcy trustees and directors. Negotiating commercial resolutions to disputes involving debts. Ketenci&Ketenci also represents clients in proceedings to secure claims as well as in execution proceedings. Our lawyers take all legal actions in execution proceedings including but not limited to aforementioned debt collection through competent execution offices. Applying for exequaturs in Bulgaria & Germany order to execute either the orders of foreign courts or awards of foreign arbitration.